It's interesting to see how people envision "beauty" on themselves as well as others. Ever since I have been learning how to love myself, and trying the best to take care of myself without the unrealistic goals of being a size 2 or perhaps getting a little 'work' done -- I have never felt so comfortable in my own skin like I am right now. Call it the confidence of being in your 40's or...something else. Granted, I'm still a work in progress, but work in terms of being a better person or someone who can at least help somebody else. My focus in life isn't about size, looks, taking inventory of materialistic things -- that's all meaningless to me. And with the lack of focus on those particular things -- I have been taking care of 'me' for once, so that I can be of better help to someone who needs me. I've heard, "Wow, you look incredibly happy." 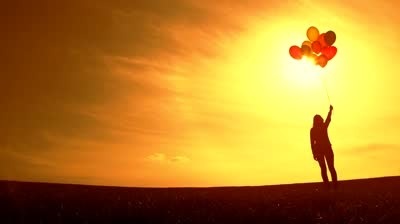 and I think to myself, wow -- I do feel happy without having anything really 'significant' happen in my life. Without effort, I have been getting strange compliments, like -- "You're glowing -- what kind of moisturizer are you using," as well as, "You look fantastic. What did you do differently?" All I did was change my inside. Learning to let go of things I cannot change. To the best of my ability, the only thing I attribute these compliments to is the fact that I took some time out to take care of 'me' spiritually. I tried going to talk therapy, which was nice and somewhat helpful, but no amount of therapy is gonna help this kinda 'crazy', so I discontinued it. Every day, I sat myself down and prayed and meditated. I read more than my usual dose of self-help books -- ones that I tend to think are this sort of wishy-washy non-denominational spiritual nonsense. But for once in my life, I opened my mind. I started to accept all teachings from all religions, instead of being so closed off from anything that I've been 'brainwashed' with. Don't get me wrong, I still hold strong to the trinity (Christianity), however it's in a new light and a light that has awakened me in every sense of the word, thanks to a couple of amazing authors. But the one thing I learned the most is to let go of things that I cannot change. I don't pop a fuse if things don't go my way anymore. I don't know what happened, but life has been very different lately. I'm starting to reevaluate my entire life, beliefs and practices. Most religious teachings of any sector have similar theories and beliefs. 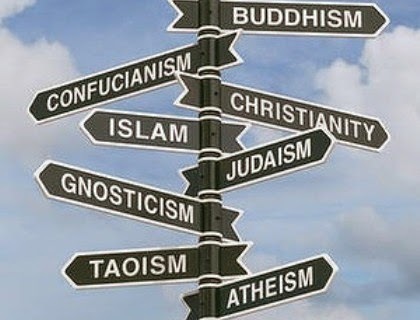 They all kind of send the same message, but in different "religions". In my last therapy session, I remember the therapist telling me that she was listening to Joel Osteen. I was shocked because she practices Buddhism. She loved the way he spoke and how he told stories to make his point. His basic message is usually positive and gives you hope to expect everything in life. Some people cringe at his name, but it really does give you a nice boost when you need it. She then said, "I just can't listen to the end part, know what I mean? I immediately close my ears." The end part is accepting Jesus Christ as your savior. She held her ears as if holy water was going to be sprinkled upon her. (Not to say she's the devil!) 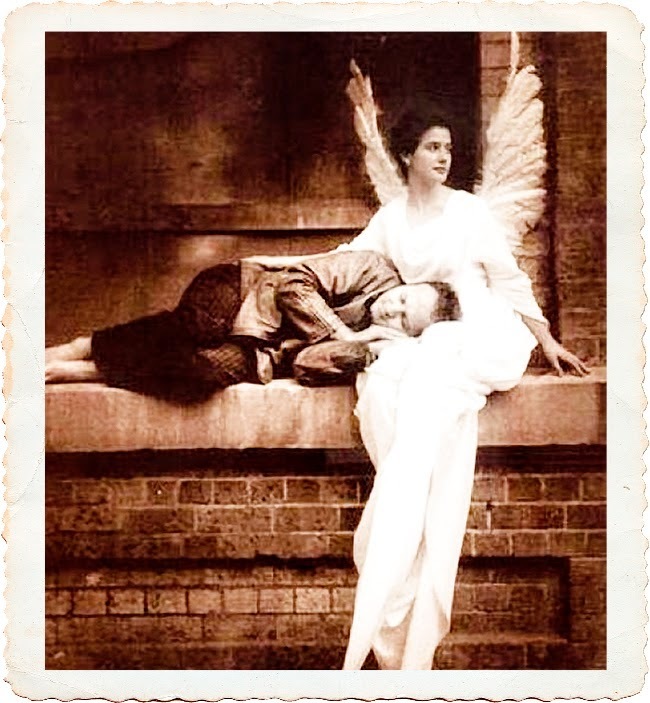 But I understood what she meant, and in the same breath I thought, "Why not accept help from another 'prophet'?" This is what Jesus is anyway. He's a prophet. What harm would it be? And would Buddha (which is more than a belief system) reprimand her for doing this? Would she be betraying her "GOD" and does she think Buddha is God? I no longer argue over religion. It's useless. You can't convince someone that an "invisible being" is real. You can't convince somebody that your god is better than theirs. And why? So, I remain confident in my own skin, in my own spirit, being diligent in finding ways to communicate better with "my god" and having the faith knowing that there is something much larger than all of us out there. Christianity and sectors alike believe that you shouldn't ever talk to spirits or entertain psychic mediums and such, yet in some passages of the Bible, it clearly states that God made people into prophets as a gift. Why is the Bible so convoluted with contradictions and discrepancies? The book we were taught to go by has messages that would scare the be-jeebus out of us. I mean, it even says that we should still own slaves. It basically tells the world that they are filthy downright sinners that aren't ever going to see the light of heaven. Written by man, inspired by God...? Whose opinion was that? At the age of 40, I have a lot of questions. A couple of months ago, I was really suffering with insomnia. And when I did sleep, I would have these awful nightmares that would stick with me throughout the day. It was such a bad feeling all around. I couldn't shake it off. At times, I was even too scared to fall asleep, thinking what type of hideous nightmare would I fall into next. One morning, I was cleaning out my office desk, throwing away unopened junk mail, files from over 3 years ago and other miscellaneous garbage. Then I saw this envelope addressed to my father. It was unopened. I'm not sure why it was in my office desk, but I sat down and took a look at what it was. Inside, was a certificate of appreciation to my dad, thanking him for his generous contribution to a Native American tribal school. 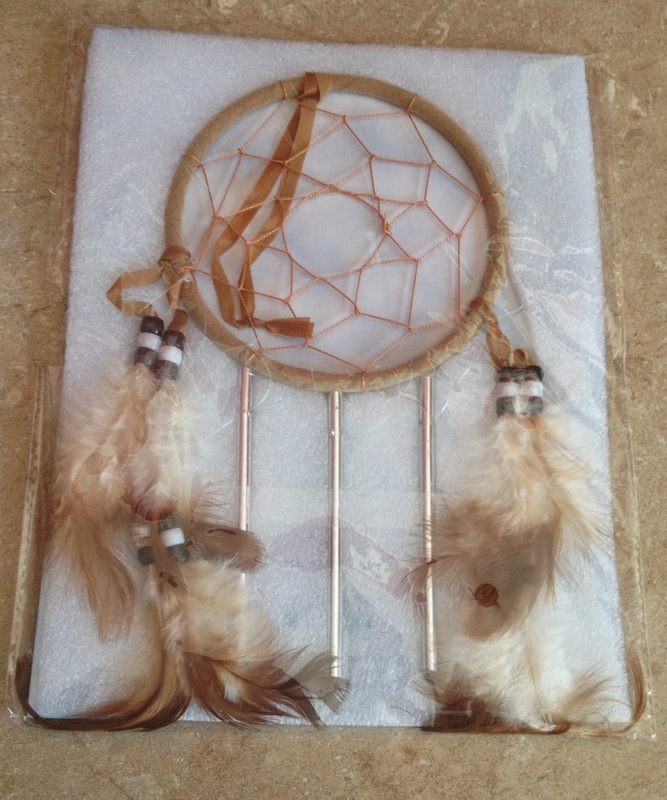 Inside the package, they included a beautiful dreamcatcher with chimes and feathers on it. "Dream catchers are often used to keep children from having nightmares and are intended to gradually dry out and fall apart as the child gets older. The belief is that the air is filled with dreams. These dreams are full of meaning and may be either good or bad. There are different versions of the dream catcher legend and how it works. Some say that good dreams pass through the hole in the center of the web while bad dreams are caught in the web. The good dreams will flow down the feathers to the person while the bad dreams dissolve in the day light. Another version says that only good dreams can filter through the net. Yet another says that good dreams are caught in the web while bad dreams flow away thorough the hole in the center. The dream catcher reminds us how important the dream world has been to people throughout time. Dreams have provided medicine men, shamans and prophets a portal to another realm. Even though today most of us tend to focus on the physiology of the dream state, we can still appreciate the power of our nightly visits to that other world." Strange how I found this almost 3 years after Dad's passing. I sometimes see Dad in my dreams and we have only a few seconds to run up to one another and hug before our time runs out and I wake up, sometimes in a puddle of my own tears. I truly and honestly believe with all my heart, that my father was seeing how much I was struggling with my sleeping problems and then gave me this at the perfect time. I have this hanging up on my headboard. Every single night, I've been sleeping at least 6-8 hours. That's a huge feat from nothing at all, to 2-4 hours per night. Sometimes I would stay awake for 5 straight nights in a row. So, thank you Dad for sending me this 'heavenly' gift. I don't mean to sound all 'weird' -- but I don't think that this was a coincidence. 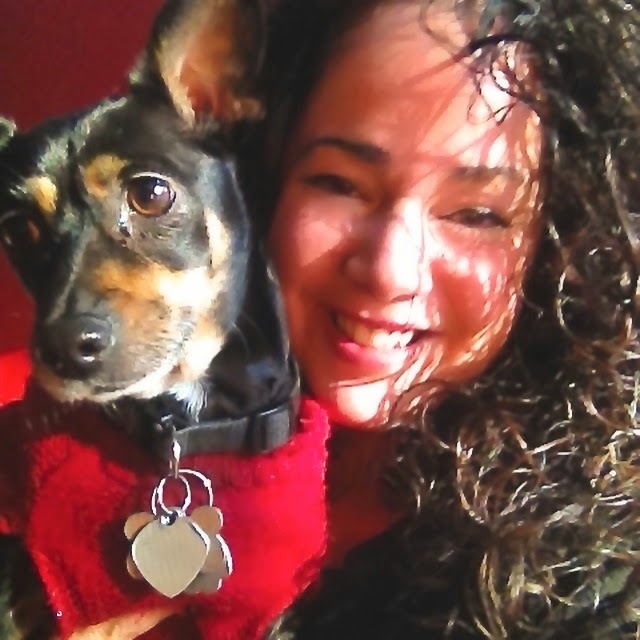 I am so grateful for Anita Moorjani, the author of Dying To Be Me. Even while she is traveling with a million and one things on her plate, she takes the time out to write to me and help me with my struggles. (So, thank you Anita!) She's a cancer survivor who had a near-death experience. It changed her entire life. It taught her that nothing in this world should be feared -- ever. And as I keep reading her book as well as listen to all of her many seminars on Youtube, I just keep reminding myself that this fear and anxiety of mine are all irrational. There is no use for it and it's been debilitating my life to the point of fearing life itself. Just by her helping me, she's showing me how to appreciate every single good thing in my life and how to make the best out of not so good circumstances. There are ways to deal with negative things in a positive way. The best part is -- I don't have to give up my faith in Jesus or feel bad about listening to another religion's theory and beliefs. I don't have to be limited any longer. I can only just open myself up to gain a better self-awareness -- a better perspective on life, death and how death is never final. It can't be. I just look up at my dreamcatcher and thank God for letting Dad send me something I needed so badly. And even if it was God sending me this dreamcatcher -- He sent it to me through my dad's name -- whether to feel a sense of comfort or to know that life as we know it never ends.